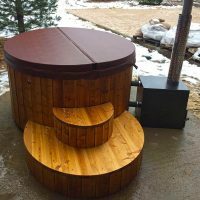 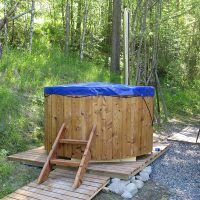 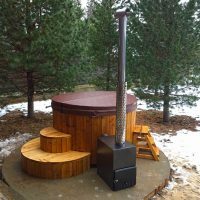 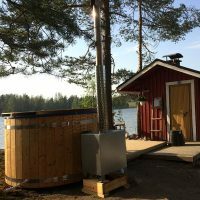 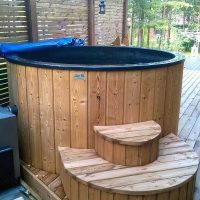 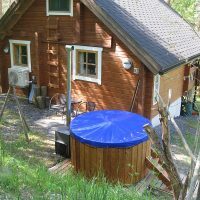 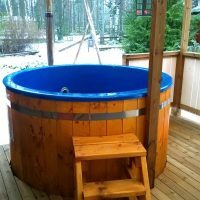 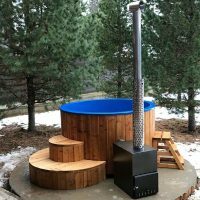 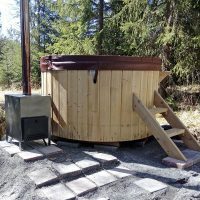 Production of wooden hot tubs with fiberglass baths is the place where the good old cooper traditions meet modern technology. 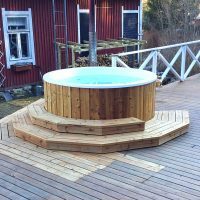 Fiberglass bath planked with the high-quality thermowood combines the best characteristics of both, plastic and timber. 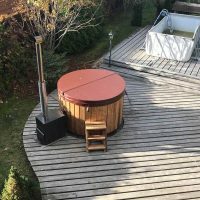 On the one hand, such a hot tub is more comfortable and easy to use. 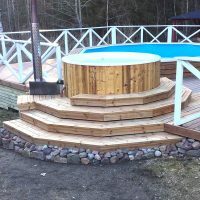 On the other hand, it still retains elegant and luxurious look. 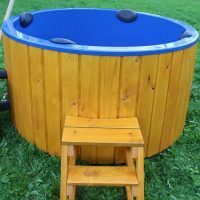 Plastic bath will prevent the whole tub from shrinkage, leakage and deformation. 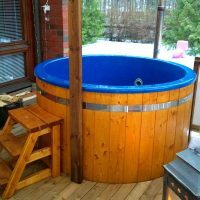 One more significant advantage of plastic baths is an opportunity to equip them with modern bubble- or hydro massage systems and different LED-light systems. 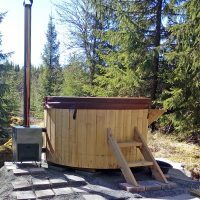 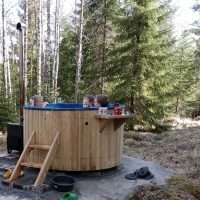 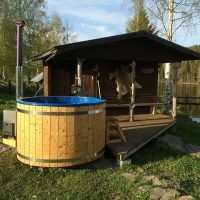 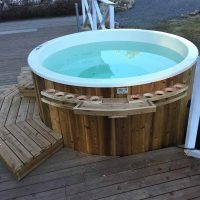 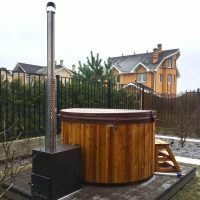 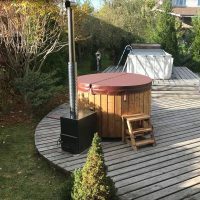 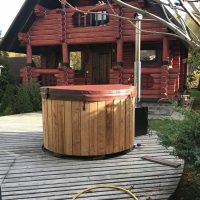 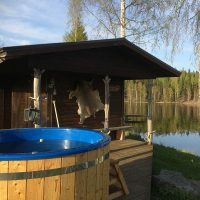 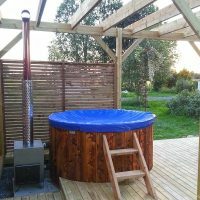 The prices for such hot tubs are absolutely reasonable, as one can be sure that the hot tub will serve for many and many years, without any problems.